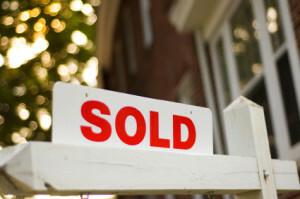 Selling your home, townhome or condo is a major decision. If you are selling your home, condo or townhome you want someone very qualified to handle the real estate transaction.The Realtor should have a true understanding of the market, analysis of your specific location and value of your property. Marketing is one of the strategies in handling the rapid sale of any property. Negotiation is also is a key factor and you want the best negotiator. Real Estate sales is about a keen eye for detail and you want someone that will protect your property and understand the paperwork involved plus realizing communication is one of the great factors. Extensive Internet Marketing Additional local Advertising provided in the appropriate format considering the Quality and Clients we need to Attract. We are Specialists in a a variety of Luxury Properties including homes, condos, townhomes, multi-unit and attract buyers internationally and sellers of Fort Lauderdale Real Estate and other areas of South Florida. I personally have owned and operated a variety of businesses including Art, Cellular & Real Estate Title Insurance. I have over 25 years of business and marketing skills, to benefit my clients as a realtor in Fort Lauderdale and South Florida. I work with Fort Lauderdale Real Estate sellers, Foreclosures, luxury properties including homes, condos and townhouses. View comparable Fort lauderdale Sellers and South Florida Sellers Properties at my comprehensive Real Estate Search. Fort Lauderdale Real Estate sellers and South Florida sellers can please contact us below.